The Mössbauer Spectrometer on the Mars Exploration Rovers, Spirit and Opportunity, is known as MB. The MB determines the makeup and quantities of iron-bearing minerals in geological samples studied by the rover. MB can be placed right up to rock and soil samples for close-up study, and it also examines magnetic dust samples collected by the Magnetic Array on the rover's deck. MAIN JOB:To identify iron-bearing minerals, yielding information about early Martian environmental conditions. SIZE OF SAMPLED AREA QUALITY:0.59 inch (15 millimeters) up to 0.79 inch (20 millimeters) in diameter on the surface of the sample, depending on actual sample distance and shape. DATA ACQUISITION:One Mössbauer measurement takes about 12 hours. Many of the minerals that formed rocks on Mars contain iron, and the soil is iron-rich. The Mössbauer Spectrometer is an instrument that was specially designed to study iron-bearing minerals. Because this science instrument is so specialized, it can determine the composition and abundance of these minerals to a high level of accuracy. This ability can also help us understand the magnetic properties of surface materials. 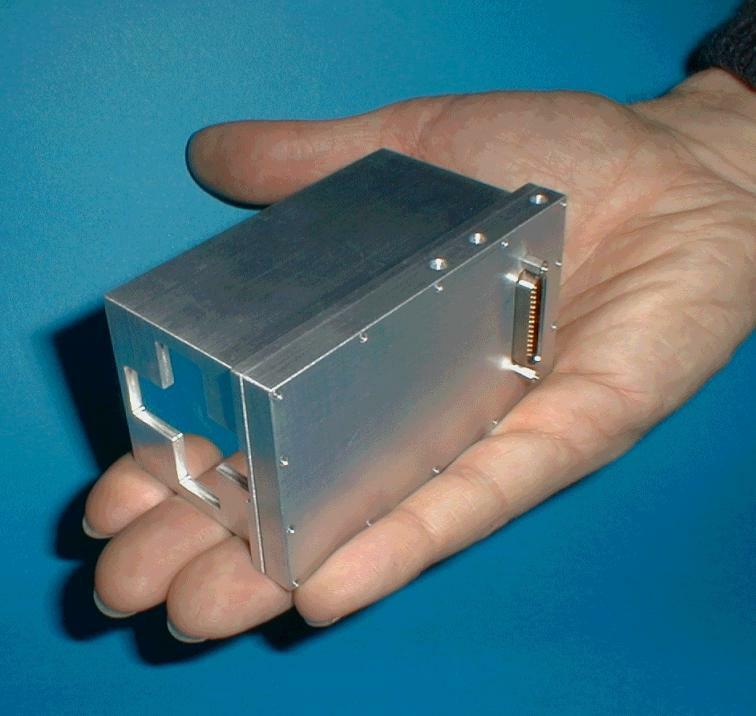 The Mössbauer Spectrometer sensor head is small enough to fit in the palm of your hand. It is one of four instruments mounted on the turret at the end of the rover arm. 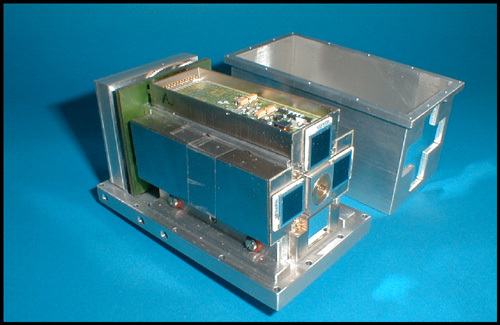 Its electronics are housed inside the body of the rover (in the Warm Electronics Box, or WEB). Measurements are taken by placing the instrument's sensor head directly against a rock or soil sample. One Mössbauer measurement takes about 12 hours.